Elon Musk, founder of electric car manufacturer Tesla and SpaceX, has been a pioneer in championing futuristic technology throughout his decorated and storied entrepreneurial career. However, the South African businessman is wary when it comes to artificial intelligence. He has even argued in the past that AI represents an even greater threat to humanity than nuclear weapons. Musk isn't calling for a ban or shutdown on AI development. He accepts that it is a revolutionary technology that has the potential if applied properly to transform existing businesses industries and businesses. Musk claims he is echoing the sentiments of many scientists who feel it is imperative that a regulatory body on AI is established at national and international level. Musk said, "I think we should be very careful about artificial intelligence. If I were to guess like what our biggest existential threat is, it's probably that. So we need to be very careful with the artificial intelligence. Increasingly scientists think there should be some regulatory oversight maybe at the national and international level, just to make sure that we don't do something very foolish. With artificial intelligence we are summoning the demon. In all those stories where there's the guy with the pentagram and the holy water, it's like yeah, he's sure he can control the demon. It didn't work out." One of the other criticisms levelled at AI is that it will remove millions of manufacturing jobs globally and affect jobs in many other industries. Factories will be exclusively manned by AI robots and will be able to manufacture products faster, more efficiently and at a significantly reduced cost to that of a labor workforce. Some ICT analysts have predicted that the mass integration of AI into industries globally would mean that hundreds of millions of people would be unemployed, and that the disparity between those at the top and those out of work would become so great that governments would be left with no other choice but to implement a Universal Basic Income. Some within the industry have described that as scaremongering and extreme to say the least. The truth is that the introduction of AI will result in some job losses, but many, many more will be created. According to Allan Leinwand, CTO at ServiceNow, it is fundamentally important to understand that AI is not strong at creative, interpersonal or physical work, it will be applied for ‘decision support' not decision making. Leinwand compiled an excellent article in which he sought to address some of the myths surrounding AI and its impact. He wrote that the advent of AI will allow workers to move to more meaningful roles, and will eliminate mundane jobs and tasks from the workforce. The CTO at ServiceNow wrote, "Workers want to move to more meaningful roles. In fact, according to the Society of Human Resource Professionals, workers, particularly Millennials, want to "create outcomes within meaningful projects and may become impatient with mundane tasks." AI can automate the more mundane tasks allowing for new jobs to be created that are more fulfilling, strategic and meaningful. AI can help workers be more productive and efficient at their jobs, while learning new skills. In addition, AI can help workers become better organized, reducing stressors, improving productivity and overall job satisfaction." 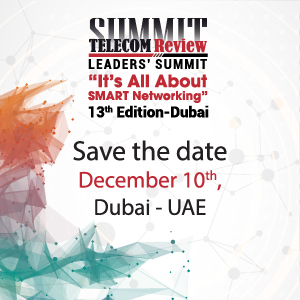 The UAE is a shining example of a country that has identified the significance of the technology. A comprehensive report conducted by PwC projected that AI will account for 13.6% of the UAE's GDP by 2030. The UAE also became the first country in the world to appoint a dedicated State Minister for Artificial Intelligence. Omar Bin Sultan Al Olama (27) was named the new Minister for AI and was immediately tasked with the responsibility of preparing the UAE for the implementation of the cutting-edge technology. His appointment represented the UAE's vision which is to be at the forefront of the global technological revolution. 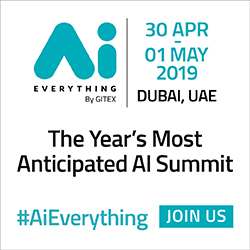 "We want the UAE to become the world's most prepared country for artificial intelligence," said Sheikh Mohammed bin Rashid Al Maktoum, vice president and prime minister of the UAE and ruler of Dubai at the time of the appointment. He added that the new phase of governing in the UAE will focus on "future skills, future sciences and future technology, as we prepare for the centenary to ensure a better future for our generations." 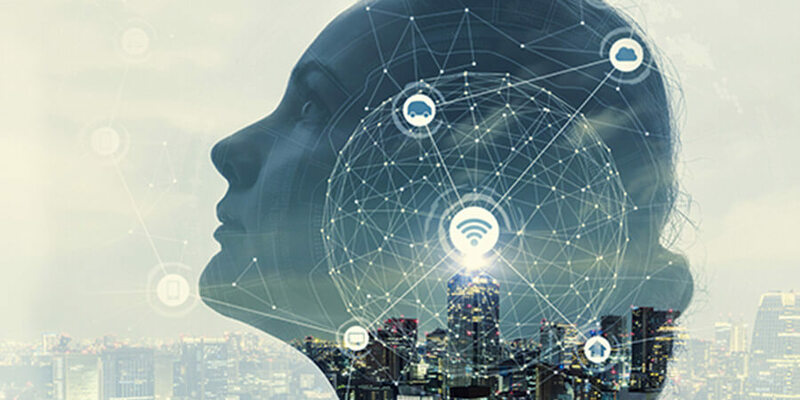 In July 2018, The British University in Dubai (BUiD) announced it was launching the country's first bachelors' degree in artificial intelligence in an effort to support the UAE's 2031 AI strategy. The UAE Minister for AI has also stated that the introduction of AI is expected to save the government up to $3bn per year. Other governments have followed the lead and example set by the UAE in relation to AI. They have identified that the technology really does represent the future in terms of job creation, growth, investment and innovation. Whilst other countries have not yet appointed a dedicated Minister for AI, others are now attempting to establish a national strategy on AI, one such country is Norway. Some of Norway's largest companies are joining forces in establishing a national powerhouse for artificial intelligence. Its aim is to improve the quality and capacity for research, education and innovation in the field. Norway has a huge potential to be a pioneer in AI, but it needs resources and collaboration in order not to lag behind. To strengthen national efforts on artificial intelligence, Telenor, NTNU and SINTEF are inviting Norwegian businesses to partner on the new Norwegian Open AI Lab. Additional partners will include DNB, DNV GL, Equinor and the Kongsberg Group. While the Norwegian Open AI Lab will develop solutions specific to the partners' industries, it will also consider opportunities where Norway can take positions internationally. Norway benefits from a competitive advantage thanks to its advanced ICT infrastructure, purchasing power, competence and a population with above-average technological literacy. There is now a clear trend being established globally between governments and enterprises and that is a shared understanding that AI is the future. As aforementioned above, jobs will be lost due to AI, but many more will be created, and it's important that governments develop cohesive and detailed strategies in order to ensure there country and its population can benefit from the diverse opportunities presented by the technology and the impact it will undoubtedly have on societies all over the world.